JooTube.TV: Domestic Islamist terror: how will Jewish voters adapt and respond? Domestic Islamist terror: how will Jewish voters adapt and respond? Two suspected extremists who killed Canadian soldiers in shooting and driving rampages followed instructions issued by Al-Qaida and the Islamic State group to the letter. 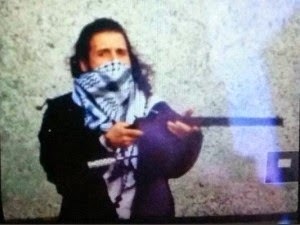 The country was left reeling Wednesday after a gunman shot dead a soldier and stormed parliament in Ottawa, just two days after another suspected Islamist militant ran over two military personnel with his car in Quebec, killing one. These deadly acts appear to follow what Al-Qaida has been preaching for years through articles or videos posted online, calling on recruits and volunteers to go it alone without specific orders or training. In late 2010, the English-language jihadist magazine Inspire, published from Yemen by American Muslim convert Adam Gadahn — known as “Azzam the American” — lauded individual jihad. Ottawa jihad wake-up: As elections approach, Jewish-American global-affairs expert, Gary Ratner, explores the west's reluctant Islamism resistance. Los Angeles - Jewish sisters, Laura and Leigh Stein feel inspired towards civic patriotism, and explain their motivation as Americans and as Jews in preserving liberty by promoting candidates strong on defeating Islamist anti-Semitism and anti-American-ism. Congressional candidate, Deputy D.A. Elan Carr addressed an Israeli Magen David Adom (Israeli Red Cross) emergency preparedness fair in Los Angeles at the time of summer 2014 Hamas kidnapping of Israeli teens, which spurned to Operation Protective Edge to stop Islamist Hamas' terrorism. Carr explains what Israel represents for freedom and human rights amidst the Islamist Revolution- and why he encourages legislation to support her. Congressional candidate Adam King of Central Los Angeles speaks with JooTube about Republican willingness to confront Islamism, and inhibit Obama's hurting popular support for Israeli Prime Minister Benjamin Netanyahu- who does stand strong against Islamism.